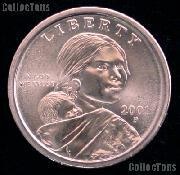 We are pleased to offer for sale this 1998-S Black Revolutionary War Patriots Commemorative Uncirculated Silver Dollar. This Black Revolutionary War Patriots Commemorative Silver Dollar was minted in 1998 and is in Brilliant Uncirculated condition. This 1998-S Black Revolutionary War Patriots BU Silver Dollar was struck to commemorate the Black Revolutionary War Patriots and the 275th anniversary of the birth of Crispus Attucks, the first American colonist killed by British troops during the Revolutionary period. There were 37,210 of this 1998-S Black Revolutionary War Patriots Commemorative Uncirculated Silver Dollars minted at the San Francisco (S) Mint. This Black Revolutionary War Patriots BU Commemorative Dollar is comprised of .900 silver and .100 copper with a diameter of 38.1mm and a weight of 26.73 grams. The obverse of the 1998-S Black Revolutionary War Patriots Commemorative BU Silver Dollar was designed by John Mercanti and features an image of Crispus Attucks, the first American colonist killed by British troops during the Revolutionary period. The reverse side of the 1998-S Black Revolutionary War Patriots Commemorative BU Silver Dollar was designed by Ed Dwight and features an image of a Patriot Family. This 1998-S Black Revolutionary War Patriots Silver Uncirculated Commemorative Dollar is encapsulated and comes in the original U.S. Mint packaging with a Certificate of Authenticity (COA). This coin is a great value for the price! Don't miss out on this 1998-S Black Revolutionary War Patriots Commemorative Uncirculated Silver Dollar!